An advisor can play one of the most prominent roles in a person’s life, forming a long-lasting relationship and providing trusted counsel. It’s not surprising, then, that it can be incredibly overwhelming to find an advisor you trust and with whom you want to work for the long-term. At Massey Quick Simon, we want to make it easy for you to get to know us and understand how we can help you and your family. We are an independent wealth management and investment consulting firm based in New Jersey, with offices in New York City and Los Angeles. Originally two separate firms (Massey Quick and William E. Simon & Sons), we combined our teams to provide wealth management, investment consulting, and family office services to individuals, families, endowments, and foundations. By combining our firms, we increased the strength of our team across investment research, client advisory, operations, accounting, tax, and administration. Our firm was founded on the belief that there was a need for a very different kind of wealth management solution. As investors and founding partners, Stewart Massey and I were frustrated by our inability to find a firm that understood our individual needs and preferences while having an adequate combination of investment expertise, innovation, ethics, and integrity. This led us to outline a philosophy and approach for a process-driven wealth management and investment consulting firm built on the approaches used successfully in our past endeavors. Soon after, our firm was born as a multi-family investment office that would not only meet our families’ needs, but also bring fiduciary management to other wealthy families, foundations, and endowments. We serve a diverse range of clients, including individuals and families, family offices, and endowments and foundations. Each of our clients is unique, and that is what makes them special. They come from various industries and backgrounds, but they have all found success in their careers. Having worked hard to build their wealth, they seek a team of professionals who can help them manage, build, and protect it for the long-term. At Massey Quick Simon, we offer holistic wealth management and investment consulting services. As an independent wealth management team, we aim to help individuals and families pursue financial peace of mind by defining the intent they have for their wealth, their risk tolerance, organizing their financial lives and managing a portfolio of investments designed to meet their goals. We also offer solutions to single family offices, providing services that include initial and ongoing manager selection and due diligence, account aggregation, consolidated performance reporting, tax preparation, estate planning, charitable planning, risk management, bill pay and lifestyle management. For endowments and foundations, we offer services that range from specific consulting assignments to a full-service investment office. We guide our clients on investment policy, governance, best practices and the fiduciary roles and responsibilities of the trustees. 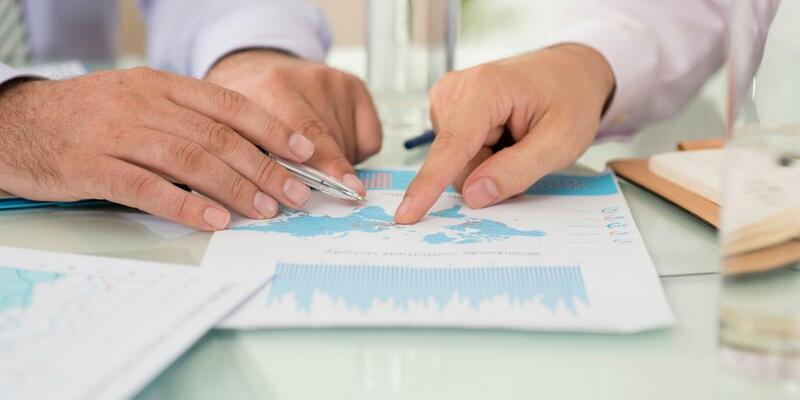 We also provide our assistance in defining and building Investment Policy Statements, as well as a comprehensive audit package to assist the office of finance through the audit process. As an independent firm, we are not compensated by third parties for the recommendations we make. Every person’s financial situations and goals are unique, and therefore they deserve a personalized approach to planning and investing. Through our customized approach, we listen, evaluate, and create individualized solutions for our clients with objectivity and high ethical standards. Our personalized process has led to us build long-lasting relationships with so many clients. We’re proud to serve as a go-to resource and support system when someone has a question or faces a tough decision. Pursuing your financial goals can be difficult, but you don’t have to make the hard choices alone. With a supportive team of professionals, we can offer you a broad range of services that help us develop a strategy customized to your individual needs and financial goals. If you have questions about your financial needs and goals, we’d be happy to meet with you and conduct a complimentary consultation. To discover your financial opportunities, call us at 973-525-1000 or email Info@mqsadvisors.com﻿. Leslie Quick is one of the founding partners at Massey Quick Simon with more than 40 years of industry experience. He began his career in 1975 as the fourth employee of Quick and Reilly Inc., the first New York Stock Exchange (NYSE) member to offer discount stock brokerage to the investing public. Passionate about philanthropy, Mr. Quick is Chairman of the board for Big Brothers Big Sisters of Hudson, Essex & Union Counties, he also serves on the boards of the Bishop's Finance Council for the Diocese of Metuchen and the Finance Council for Our Lady of Perpetual Help. He serves on the Investment Committees for the Diocese of Metuchen, St. Mary's Abbey/Delbarton, and the Franciscan Friars of the Holy Name Province. He also served as the Chairman of the Campaign for the Heart at Morristown Memorial Hospital and is a Trustee for the Foundation for Morristown Medical Center. Mr. Quick sits on the Order Friar Minors Finance Committee in Rome, Italy and on the Board of Trustees for St. Bonaventure University and St. Patrick's Cathedral in New York City. Learn more about Leslie by connecting with him on LinkedIn.